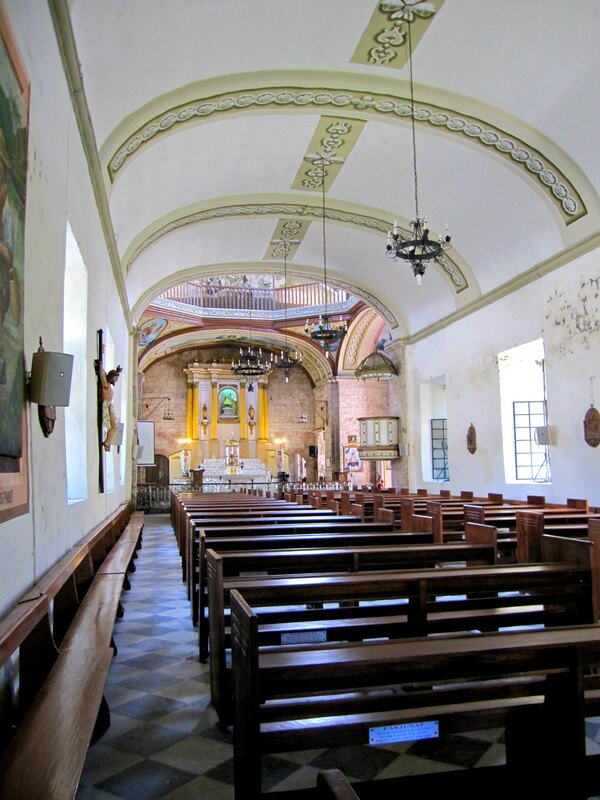 One common yet unofficial belief of religious and unreligious Catholics is that they can make a wish every time they enter a Catholic Church for the first time. Others, may they have a religion or none, would take the opportunity to make a wish every time they came across a wishing well. I love churches and wishing wells, these spots gives me the feelings of positivity, optimism and upbeat emotional strength. Both feels like they have strange and mysterious healing powers! Almost all people, I guess, after making a wish in these places would either forget about it or let fate and providence be the arbiter if such longing will be granted or not. No one I guess ever thought or dared of going back to the church or wishing well to follow up his or her wish. Relaying a reminder for the granting of a yearning is not part of the tradition or the custom of making wishes. This is definitely something rare and uncommon. And since I am rare and uncommon, I did the rare and the uncommon. I followed-up. Last Thursday, after touring a very interesting meat processing plant in Malvar, Batangas, me and my colleagues decided to go for a side trip. 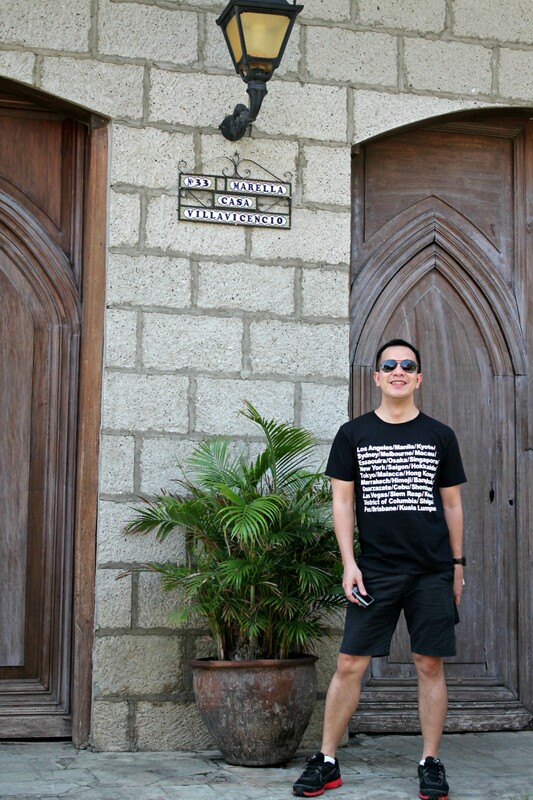 We went to the old heritage town of Taal, Batangas. 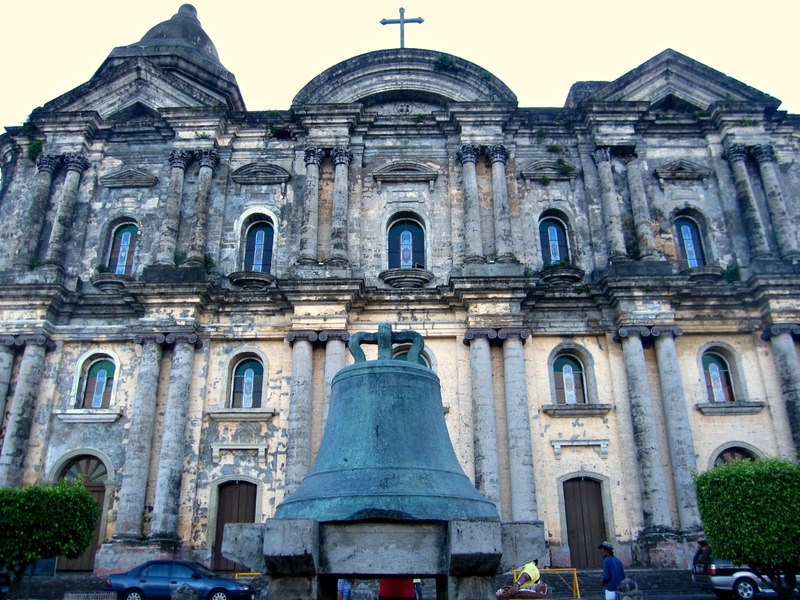 For a very brief exploration, we went to 2 old churches and one mystical wishing well in Taal. We went to the St. Martin De Tours Basilica, the largest Catholic Church in Asia and at the Shrine of Our Lady of Caysasay, one of the few churches in the world that was given the special privilege by the Vatican for plenary indulgence. 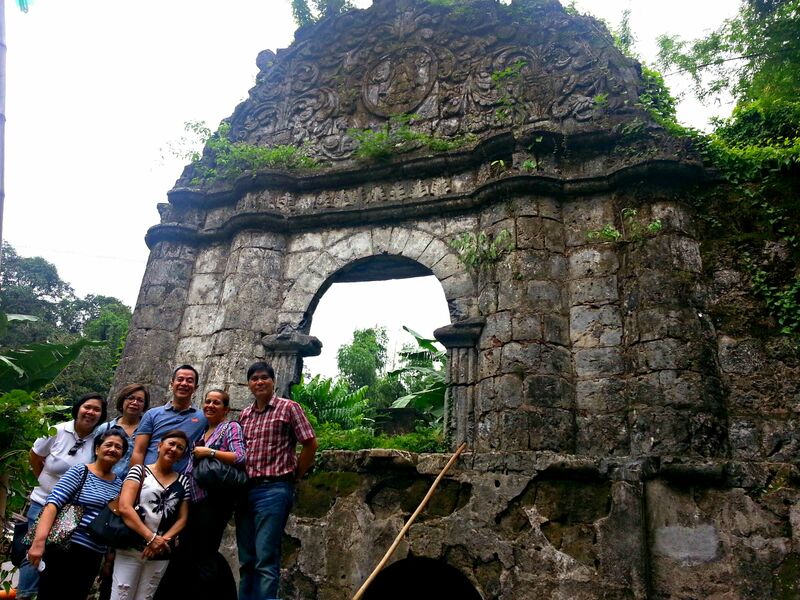 To cap our short Taal trip, we went to the old spring-fed wells of Sta. Lucia, a miraculous wishing well. Since I have been to all these three spots just a couple of weeks ago, this means, I would not have the opportunity to make a wish. Thus, to make this trip a more fruitful one, I simply expressed a reminder for the granting of my wish. The same request I made the first time I went there. 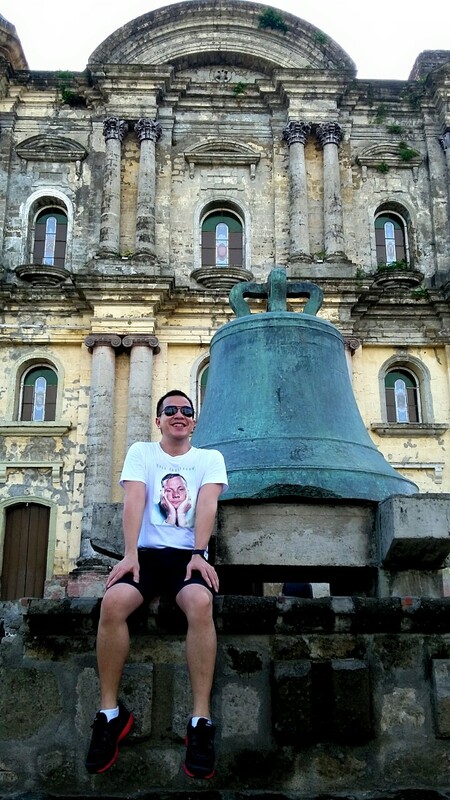 At the miraculous Sta. Lucia wishing well, people are obliged to return to this site when their wishes has already been granted. Grantees return so as to offer white or violet-colored flowers and to pray their deepest thanks. Since my wish has yet to be granted, I did not bring with me any flower but nevertheless say a short prayer of thanks for being well and alive. Still at the miraculous Sta. 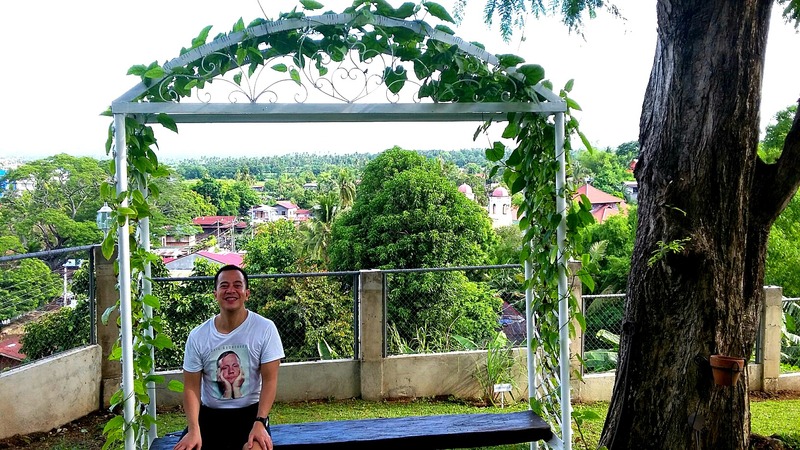 Lucia wishing well, while dampening my face, my neck, my arms and my hair with the banal na tubig (sacred water) fetched from the well I was literally uttering in a sweet gentle tone, “Follow-up lang po… follow-up lang po…”. Everyone was laughing when they heard me say this. Maybe it’s because it’s unusual to follow-up. My colleagues knew that I was just there few days ago, that is why they were giggling when I was making a follow-up. So, to make my wish become more potent, I called for reinforcements! I requested my colleagues’ that part of their wishes is that they wish that my wish be granted! 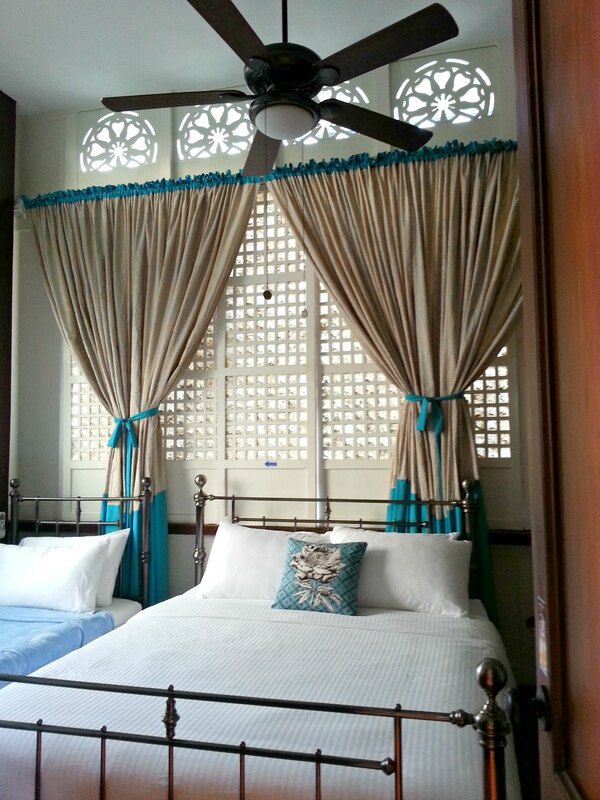 “We stayed in an old Spanish-colonial house”. This is my usual response to a lot of friends who asked where did I and a couple of friends stayed when we were in Taal, Batangas. 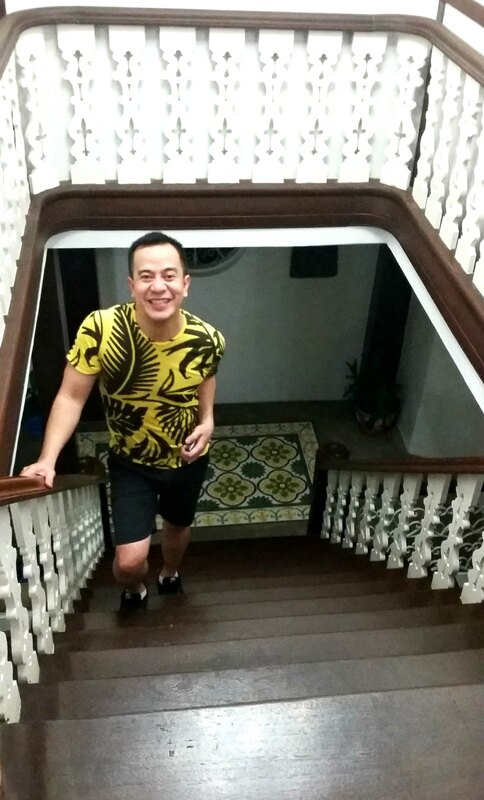 We actually stayed in Paradores Del Castillo, an old Spanish-Filipino house turned into a hotel. 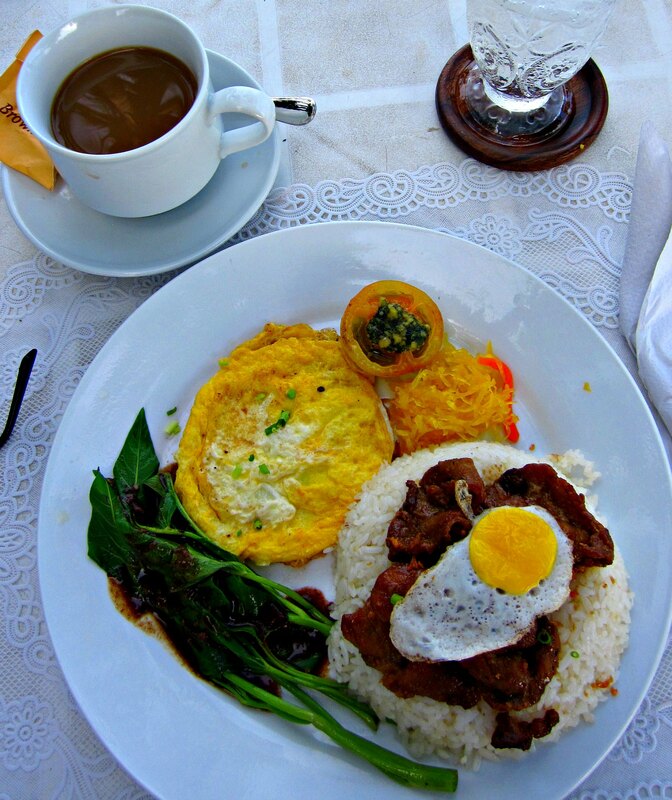 For those who love the old world flavor with the illustrado-Spanish-Filipino touch, you will truly enjoy staying in this hotel. And true enough, as soon as I saw the façade and entered this old house, I immediately wanted take photos of the whole place. 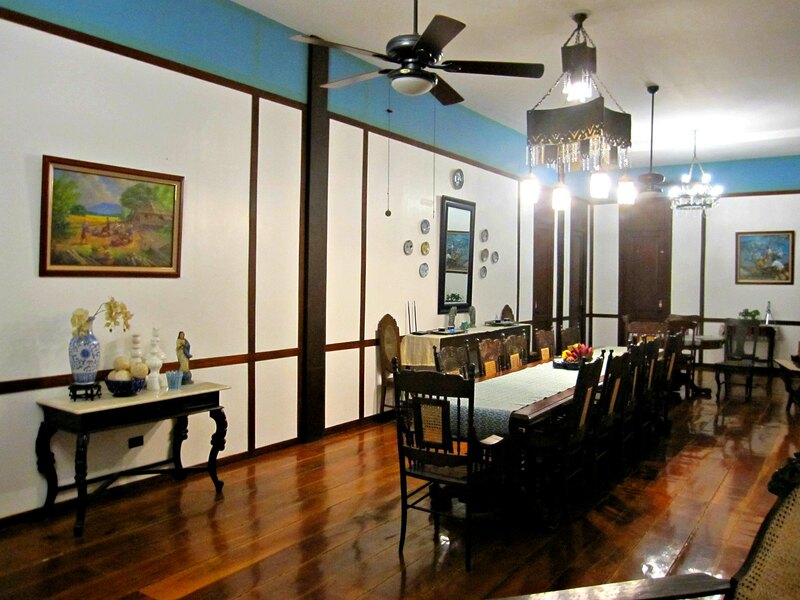 Every space, wall and décor seem to have rich characters. 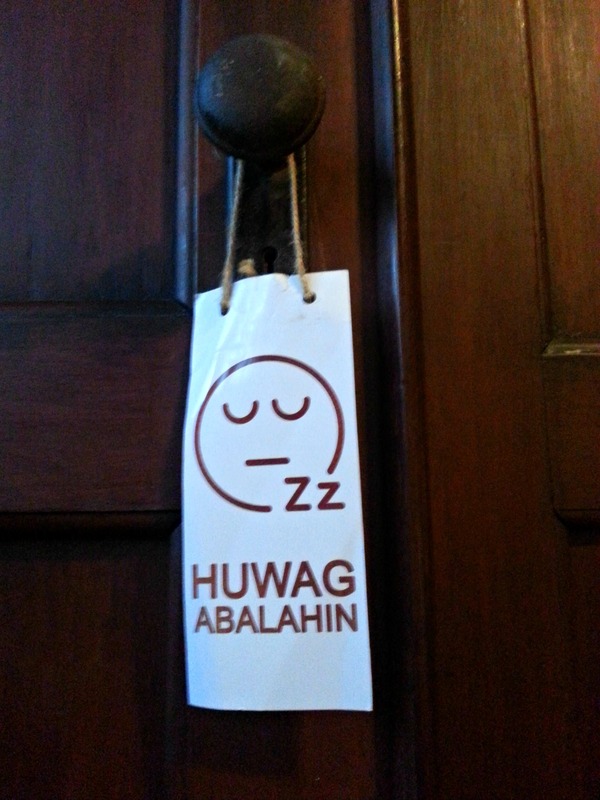 It would be one of those places that Ernest Hemmingway or Jose Rizal would approve of. It felt like I was in some old Filipino period movie produced by LVN or the Sampaguita pictures. 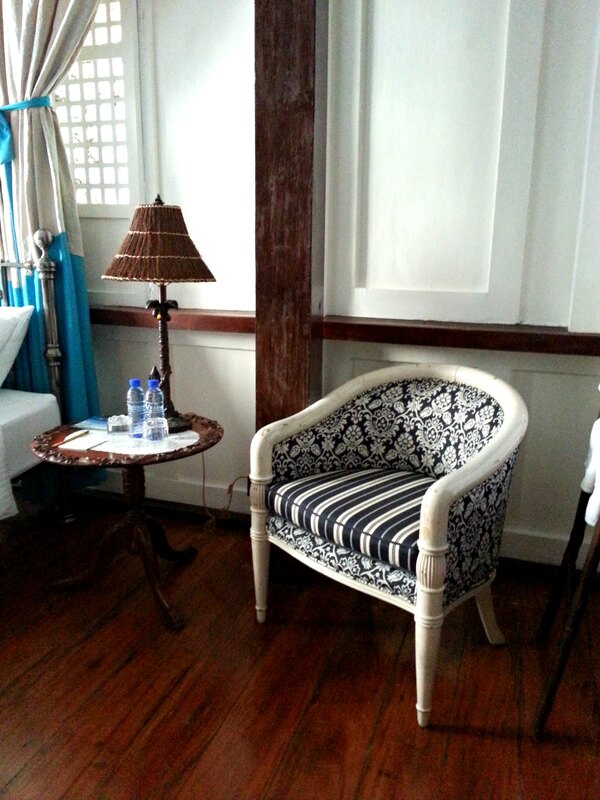 Here are a few photos of this beautiful and uniquely Filipino hotel. translation: please con’t disturb. and that’s the super old door knob! hahaha! those capiz window panes are so uniquely filipino! 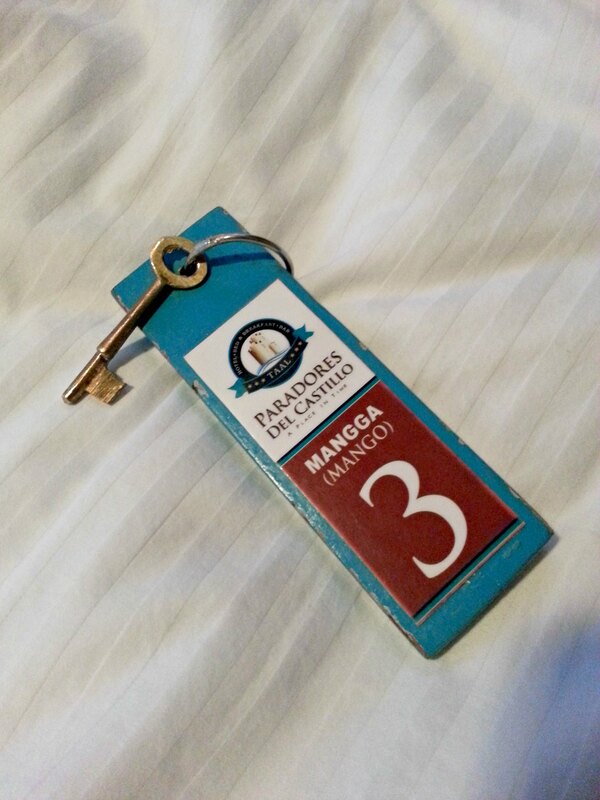 even the door key is so old… i love it! It has always been my belief that entering a house of prayer or a religious temple for the first time goes with a lot of perks. I am with the faithful belief that you can ask for three wishes if it is your first time to enter a church. This of course is aside from the opulent opportunity to pray for your loved ones, express your heartfelt gratitude, catch-up with God and in a way save your soul. 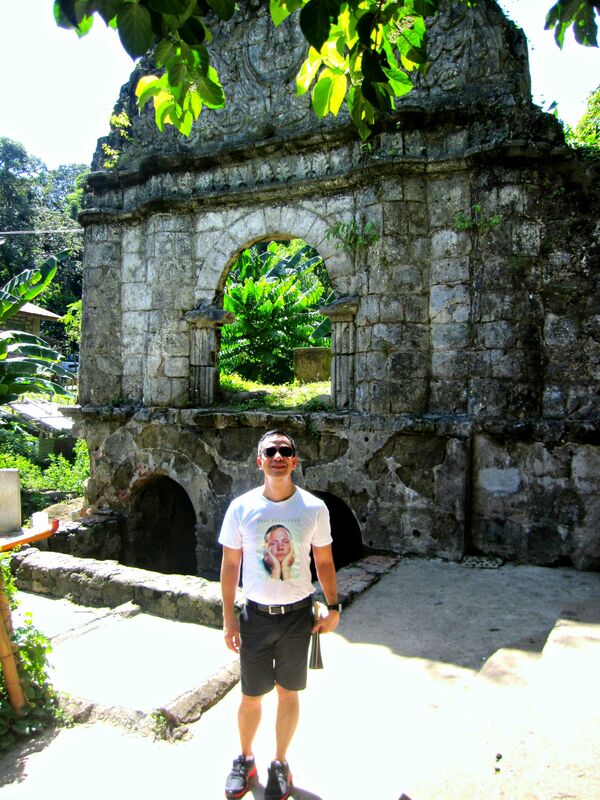 But my first time visit to the church of Our Lady of Caysasay in Barangay Labac, Taal has more than what I expected. I only knew through a brochure write-up of the hotel were we stayed in Taal that pilgrims and visitors of this church as decreed by Vatican may actually receive the rare and priceless plenary indulgence. This means, if you visit and pray at Caysasay Shrine all your sins, wickedness and impiety will be washed away. Upon knowing this, and since my wickedness is already up to the brim, I made sure that I and my friends must go there. 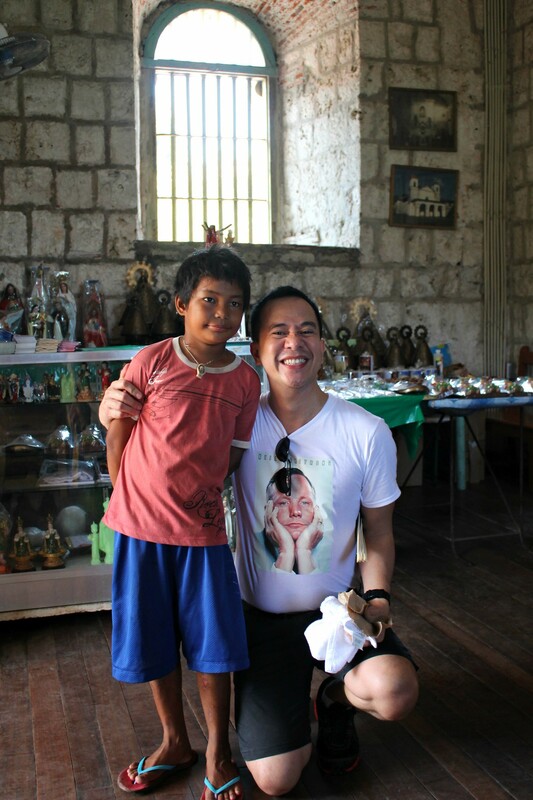 Aside from washing away all my evilness, I also got to meet one remarkable kid in Taal. His name is Mark Vincent. I actually met him right inside the church. After saying a solemn prayer, this kid approached me and asked if I wanted to personally hold the image of Our Lady of Caysasay. I of course agreed. He then told me to follow him outside, led me to the back of the church and asked me to go up the stairs which leads me to the back of the high altar. When I reached the top floor, the main backdoor of the church was locked. 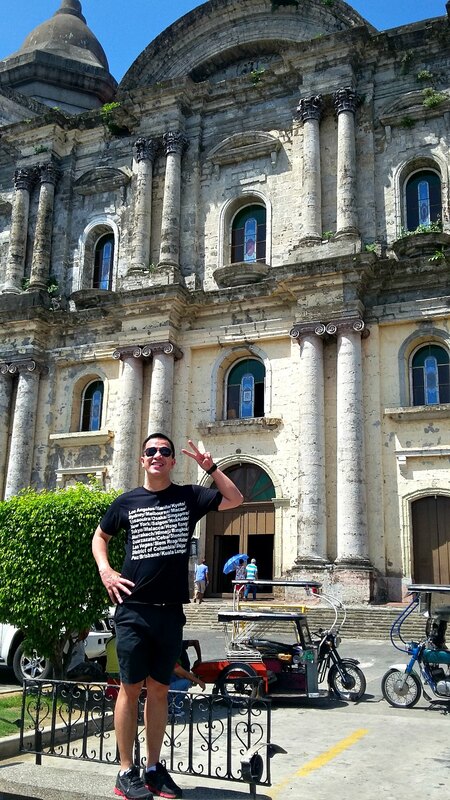 Mark Vincent noticed that I could not get in so he hurried downstairs and told the church’s personnel to open the door for me and my friends. 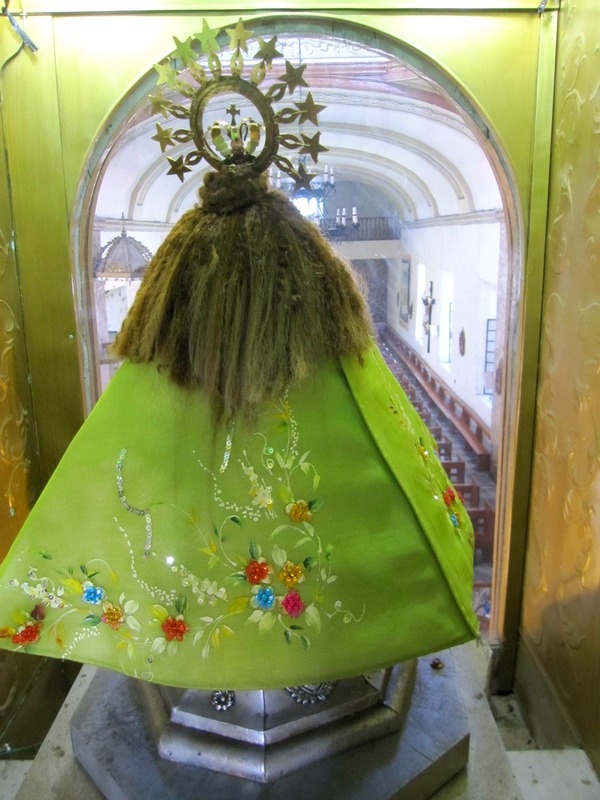 This is where the amazing and rare opportunity of touching the miraculous image, her vestment and even the hair of Our Lady of Caysasay happened. This beautiful experience was indeed sublime and mystifying. When I told Mark Vincent that he is supposed to be in school that Wednesday morning, he told us that his teacher ordered them to report halfday after lunch because it’s the feast day of St John the Baptist. In Batangas province, part of its local tradition is to splash water to people passing by the streets from morning ‘til noontime during San Juan day. The teacher then, as I supposed, must not want her students reporting at school in the morning all drenched wet. Sa wakas nahuhasan din. Grabe. Ang linis linis ko. Hahaha! There is a prevailing notion that Filipinos behave more than the usual when they are abroad. Me and my fellow Filipinos are more cooperative, more patient, more obeying and more respectful when they are out of the country. But it is surprising to know that this better-quality characters seem to exist in a Filipino populace not living abroad but right here in the Philippines. It is so delightful to find out that such pleasant characters exists in a Filipino community here in the Philippines. 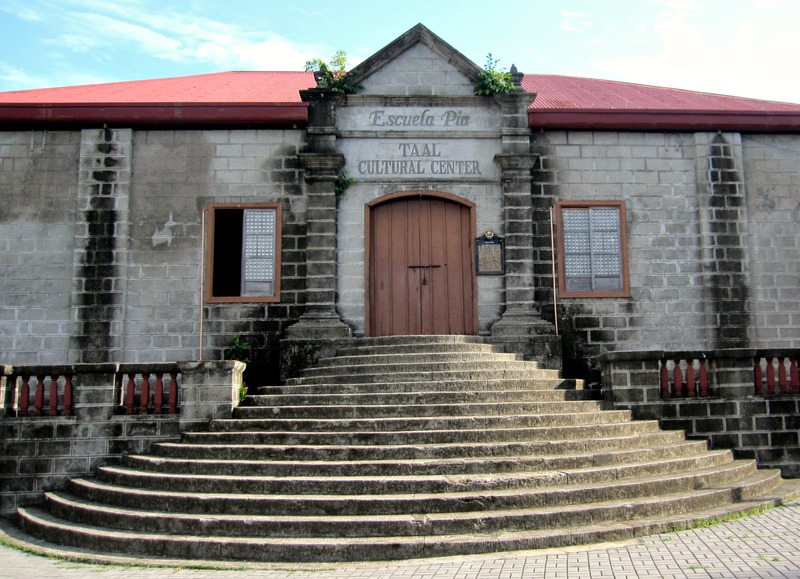 I am talking about the heritage town of Taal, Batangas. With the rise of animosity, distrust and hostility in Philippine society, it is now rare to encounter the pleasant events and circumstances that I personally experienced during my short visit in Taal. These encounters would normally be an impossibility and would normally not happen if it occurred in another place or town somewhere here in the Philippines. At Caysasay Church, I and my friends were the only customers inside a store that sells religious goodies. I wanted to have a rosary and a small image of Nuestra Senora De Caysasay. I handed the attendant a five hundred peso bill. But the young attendant does not have any change for such a huge amount, he instead asked my permission that he would have to go out of the store to have the money changed into smaller bills. When I agreed, he stepped out and without any suspicion left his store all in our care and custody. As a usual scenario in a lot of places in the Philippines, the attendant would either call another person whom he trusts to man the store or would order us to get smaller bills for ourselves or would simply deny us any purchase because he doesn’t have a change for the huge bill handed to him. On the day of our visit, we were unaware that it was the Feast of Saint John the Baptist. During this day, the locals of Batangas observes the tradition of splashing water to anyone they would see and encounter on the streets from morning until noontime. Getting splashed with water on this day is actually a symbolism of being baptized with Holy Water. While we were walking on the street of Calle M.M. Agoncillo, we were approached by a uniformed traffic enforcer (though there literally was no traffic on the streets) and told us to expect that people may splash or squirt water on us. That we would have to be mindful of the cameras and gadgets that we carry and not to get “pikon” (pissed-off) because it’s their province’s tradition. As a usual scenario in a lot of places in the Philippines, uniformed traffic enforcers would simply ignore our presence. They would simply not care. They may even be the first to laugh and mock us in case we got wet for not knowing the day’s tradition. 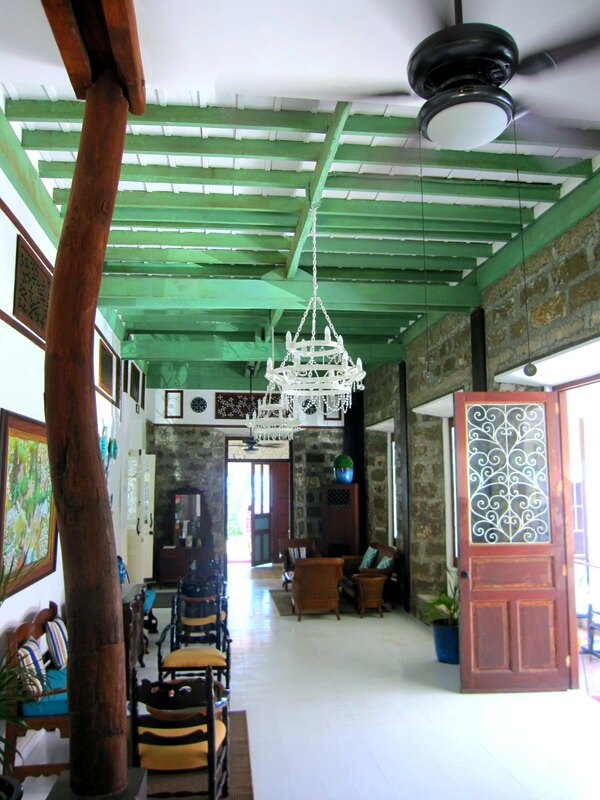 Casa Villavicencio, a pre-1850’s stone house turned into a private museum is one of our desired destinations in Taal. When we arrived, the house/museum was closed and indicated on a hanged signage that the house is only open to public every weekends. 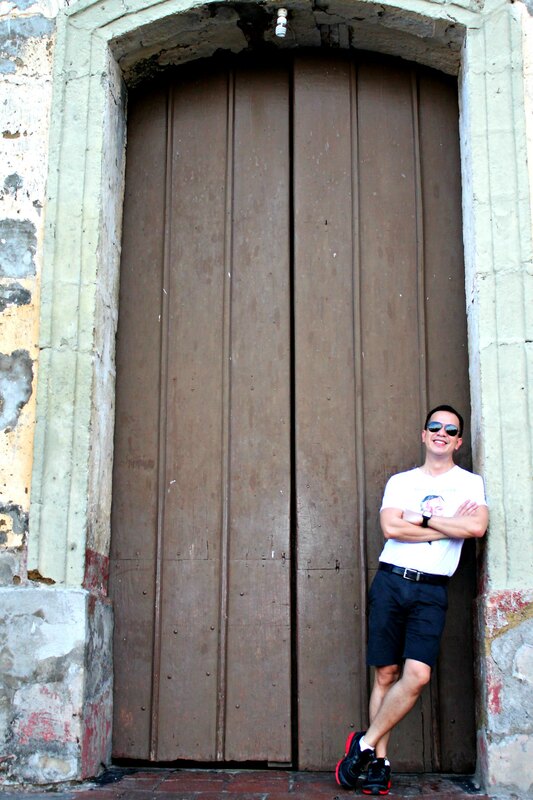 I nevertheless knocked on the humongous wooden door. When a young man who was passing by the street saw me, he called out one of the lady servants cleaning the garden of the museum and informed her that we were at the door wanting to enter. He told us to wait by the door to be acknowledged. When the lady servant opened the old wooden door, she allowed us in but informed us that the house is closed to public on that day. But surprisingly, without my being too pushy she allowed us in and told us that we can pay the entrance fee at a student rate of 80 pesos per person. Except for me, my companions obviously no longer look like students but she explained that it is supposed to be 100 pesos but since they could not serve refreshments, we are given a discount. 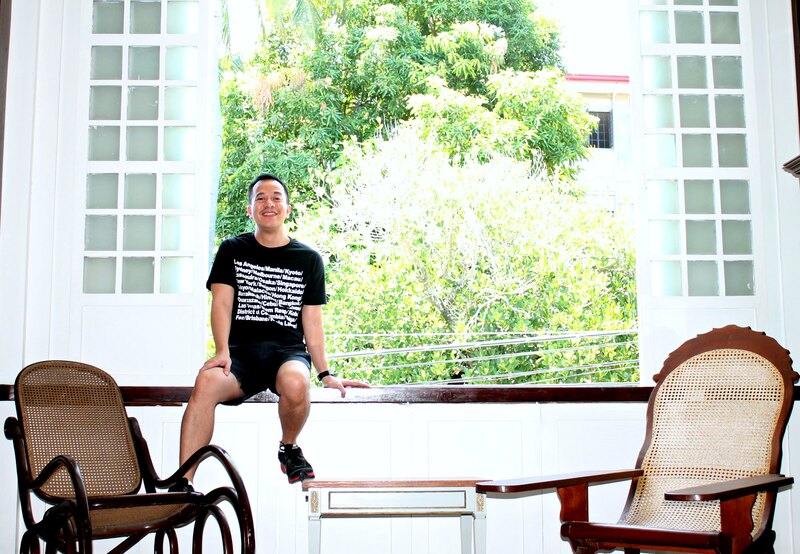 After letting us watch a short film about the legacy of the owners of the house, the servants left us for ourselves and we of course toured, marveled and enjoyed the preserved heritage of Casa Villavicencio all by ourselves. As a usual scenario in a lot of places in the Philippines, we will simply be ignored by passersby on the street and we will definitely be denied entry because their establishment is closed. 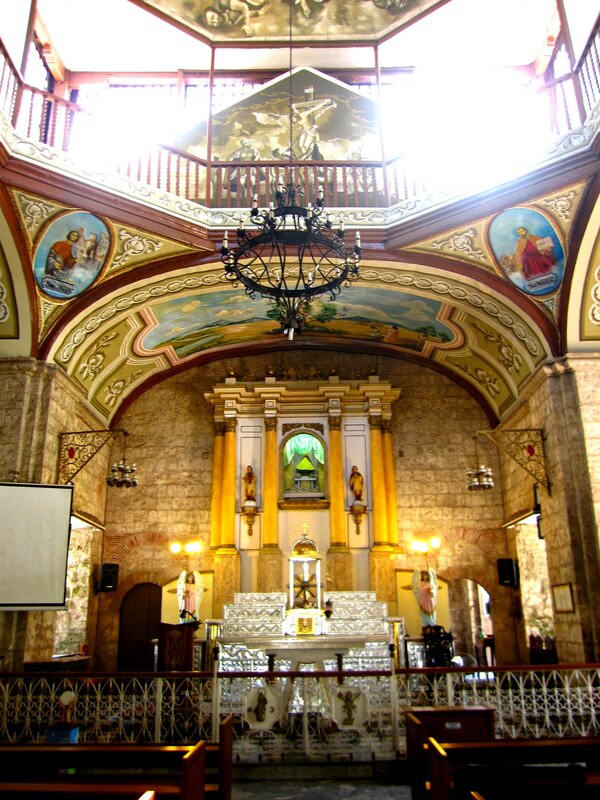 Aside from the marvellous preserved Spanish-colonial stone houses, another must visit in Taal are the churches. Two most popular of which are the St Martin De Tours Basilica and the Our Lady of Caysasay Church. In both visits, we were never approached by a “pulubi” (beggars). There seem to be no pulubi in Taal. Anyway, in both churches we were approached by smiling children (one for each church) selling candles. These children are not the typical pushy types found in other places in the Philippines. They simply offer us to buy their candles so that – according to both kids – we can solemnly pray for our loved ones. After our purchase, in both church scenarios, these kids accompanied us to the area where the candles should be placed and lighted. After praying, these young lads in both churches in their very welcome-y demeanour then told us where are the nearby interesting spots where we local tourists can proceed. As a usual scenario in a lot of places in the Philippines, street children or beggars would obnoxiously irritate foreign and local tourists. They would not stop until you hand them some money. And what is so heart-breaking is that oftentimes these children are victims/members of a loose gangsters or organized crime syndicates. With all these remarkable encounters, I can assert the impression that Taal is my kind of Philippines. Taal definitely lives up to the country’s tourism slogan, “It’s more fun in the Philippines”. And I just hope Taal remains the way it is today. Oh? ‘San ka pa? Pasyal na. 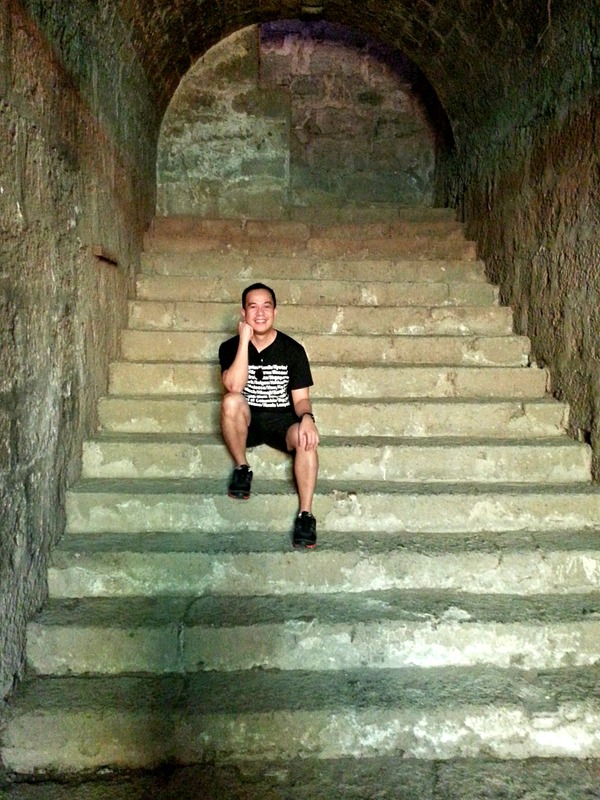 Prior to visiting Taal in the province of Batangas I never expected so much about this place. 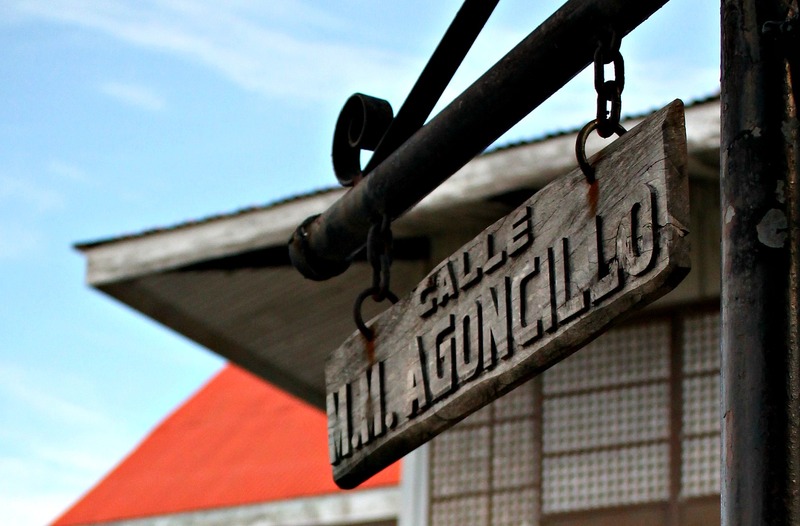 It is actually only 2 hours away from the bustling capital of the Philippines. Because it is so close to Manila the range of my expectations on what this town can offer is so low. 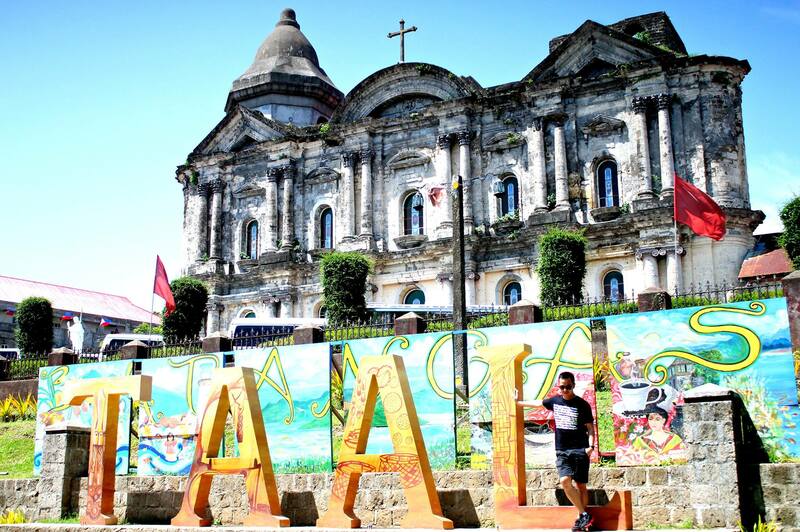 All the while, I thought, Taal would just be another usual town that aspires to become a modernized place near Metro Manila that is vehicle-congested, mall-infested and overly-populated. But my short one-night and one-day glimpse of Taal tutored me otherwise. this is what philippines should be like… i love it! 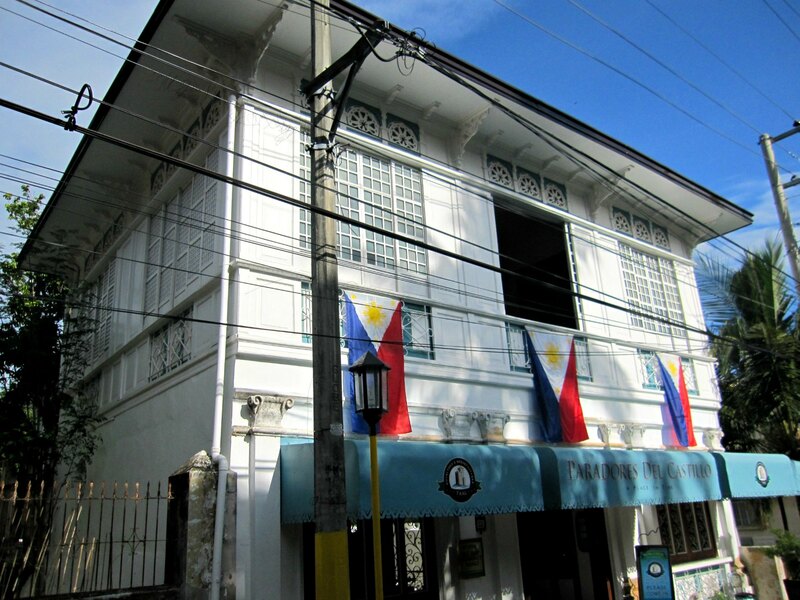 This place was able to preserve the calmness of a Filipino barrio, the gentleness and courtesy of the Filipino people as well as the elegance and beauty of the 19th century Philippines. According to Wikipedia, Taal is classified only as a third class municipality. Yet the feelings and thoughts I experienced during my recent visit in this bucolic Filipino town has surprisingly been first class! I would definitely be back to further explore the culture and the beauty of this calm, naive and gentle place. Ang gara! Ang ganda! Ang galing!